As a beef producers we see the dollars in each cow. She has to produce a sizable calf each year to pay for the amount of pasture and or feed she consumes. We started from the very beginning producing a cross between the Santa Gertrudis and American Aberdeen that is moderately framed, highly efficient, and most importantly highly productive. These animals are called Moderator and Moderator Plus cattle. The cows from this cross average between 1000 and 1200 pounds and will wean a calf at least half of her body weight each year. The greatest benefit to these females is that we can stock more of them and consequently produce more pounds of beef per acre per year. 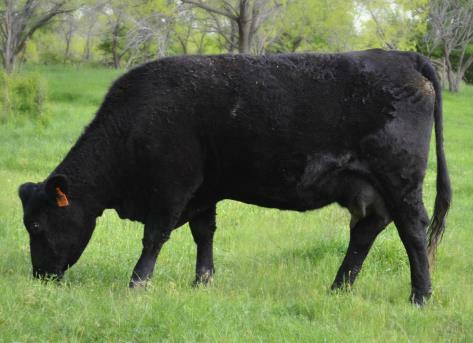 In 2012, the American Lowline Registry instituted a program to designate percentage Lowline cattle of high genetic quality as Moderators. The purpose of these animals is to moderate a commerical herd in the first generation while improving beef quality.